This award is intended to recognize research that is innovative in its topic, methodology, or program(s) studied. The research can be specific to the functioning of a BIT or programs that serve to educate, provide interventions for or reduce risk among target populations. All research articles submitted to The Journal of Campus Behavioral Intervention since 2013 are eligible for consideration for this award. Submissions should contain a 100-500 word abstract and the full article in APA format including bibliography. The selected author(s) will receive a token worthy of display at their institution and the article will be included or highlighted in The 2019 J-BIT. Application deadline is August 9, 2019. 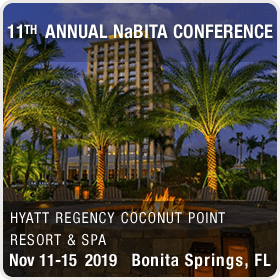 For questions regarding the award application, please email conference@nabita.org. * 7. Which term best describes your organization? * 8. Please submit your abstract here. * 9. Please submit your full article here. File size limit is 16MB.